A margarita at MXDC. Photograph by Jeff Elkins. National Margarita Day is Friday and there are plenty of options for tequila fans. If you’re downtown. MXDC Cocina Mexicana will celebrate with cucumber-jalapeño Don Julio margs for $10. Popular beer-and-taco garden El Rey on U Street will also serve discount cocktails: lime, strawberry, mango, and blueberry margaritas, classic or frozen, will be available for $7 from noon to 7 PM, and for $9 from 7 PM to close. Tico on 14th will offer a build-your-own margarita bar with four flavored simple syrups and two infused tequilas ($10 each), plus $5 tacos and $10 nachos. Meanwhile Mission Navy Yard and Dupont will serve $8 margaritas, $23 pitchers, and $5 shots from 4 PM to close. In advance of Mardi Gras, Capitol Cider House serves up an all-you can eat Cajun brunch on Saturday afternoon. A $48 ticket grants two hours of bottomless cider and NOLA-style foods from Mardi Gras Tyme Catering like jambalaya, bourbon meatballs, red beans and rice, and king cake. Hyattsville roaster Vigilante Coffee Company will host an introductory course on the evolution of raw coffee and specialty coffee roasting on Saturday from 11 AM to 1 PM. Guided by Vigilante roasters, participants will learn the technique of coffee cupping and receive hands-on experience with professional equipment. For the ninth year in a row, Mad Fox Brewing Company will throw the “largest barleywine festival in the Mid-Atlantic.” The Falls Church brewpub will showcase over 30 varieties of the high-alcohol ale over various sessions on Saturday and Sunday. Admission is free and bar area seating is first come, first serve. Dine lakeside at Reston’s Red’s Table. Photo courtesy of Red’s Table. 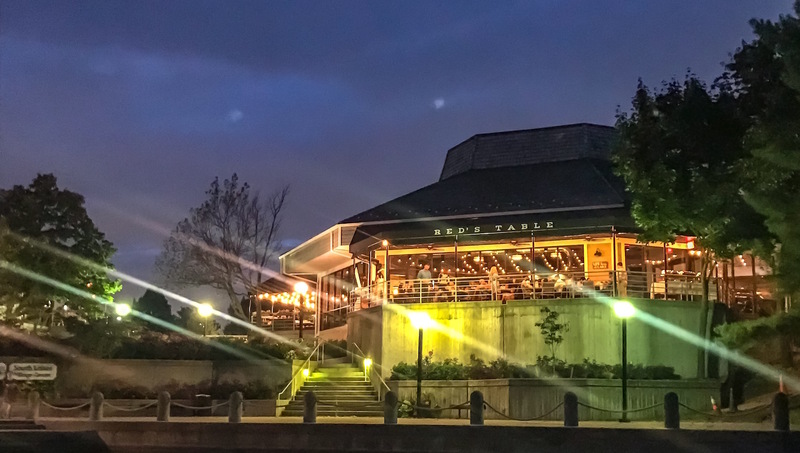 Reston lakeside eatery Red’s Table is honoring women in wine this Saturday at 7:30 PM with a guided tasting dinner starring woman owned, operated, or produced wines. A five-course dinner will accompany a diverse selection of pours from Italy, Spain, and Argentina ($95 per person). Winterfest, the final installment of Pizzeria Paradiso’s Four Seasons Beer Festival, will take place at the Georgetown location on Saturday from 1 to 5 PM. For $15, beer-lovers will receive four 6-ounce pours, beer slushies, and snow cones. Skeeball, pinball, and darts will keep guests entertained. If your four drink tickets run out additional beverages will be available for $3. 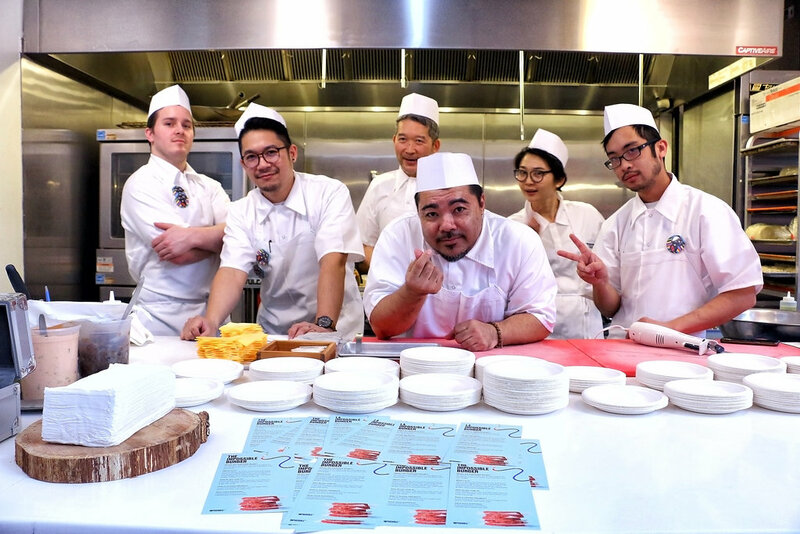 Ramen World 5 brings unlimited ramen and all-star chefs to Mess Hall. Photo courtesy of Mess Hall. Mess Hall‘s Ramen World goes down on Sunday for the fifth year in a row. Meet the star chefs and taste bowls from Bad Saint, Himitsu, Daikaya and more. Tickets for two sessions ($75 to $120) are available and include the ramen, additional snacks like dumplings and yakitori, Kirin beers, cocktails, and more. Proceeds benefit the Capital Area Food Bank. Natural wine shop Domestique celebrates its exclusive partnership with Copenhagen-based distiller Empirical Spirits during a public tasting party on Sunday from 3 to 5 PM. The ticketed event ($50 per person) at HR Records includes tastings from both Empirical Spirits and La Boutanche (a specialty wine label from Domestique partner Selection Massale), plus small bites from Meats & Foods. It’s time to impress your cheese-loving friends. Cheesemonster‘s Alice Bergen Phillips will take over the Lemon Collective workshop space and walk attendees through How to Build a Cheeseboard on Monday from 7 to 9 PM ($45 per person). Patty Boom Boom reggae night is back at Marvin on Tuesday starting at 8 PM in collaboration with Nick’s Jamaican Jerk Seasoning from Howard University alum Nick Owens. In addition to music from DJ Mutaal you’ll find jerk chicken, coco bread, plantains, $6 rum specials, and $5 Heineken.